Cash for Cars Adelaide is a great company to sell your car because not only their service is prompt, they have a great bunch of guys who are very helpful. I got good cash and sold my car quickly. 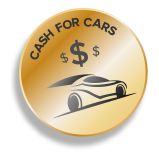 I would definitely recommend Cash for Cars Adelaide! I sold my Toyota Camry to Cash for Cars Adelaide and their service's recommendable. Thanks guys for buying my car within 24 hours! Cash for Cars Adelaide bought our broken Rav 4 for a good amount and towed it away for free. Quick service, friendly staff. Would highly recommend to everyone in Adelaide!